In November 15, 2014, I got together with several youth leaders, and youth workers to talk about the Christmas Institute. It’s easily the biggest youth ministry event in the United Methodist Church in the Philippines. On average, about 250 young people gather from December 26-30 in more than 50 Districts. That would translate to around 12,500 United Methodist youth who gather around the Philippines for fellowship, worship, study, and preparation for ministry. We had a fruitful discussion as we talked about our own Christmas Institute experiences and how it has shaped our journeys as United Methodist Christians. On the whole, the Christmas Institute is still an important part of the journey of youth in the UMC, but we need to innovate and come up with creative ways to make the CI harvest more sustainable and effective. Here are some of the thoughts and ideas that the group came up with. 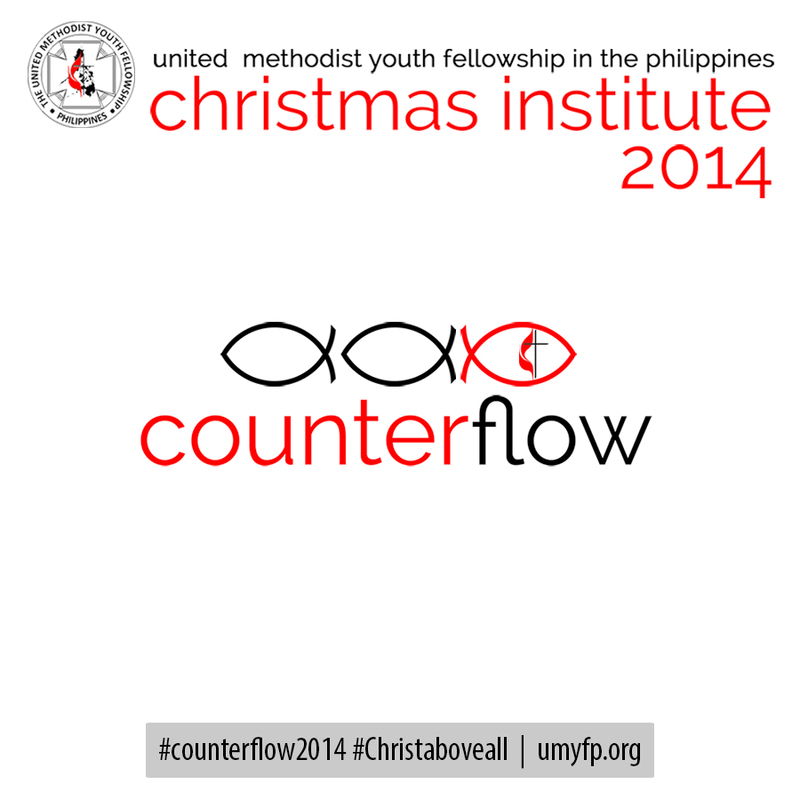 The Christmas Institute (CI) is easily the biggest venue for Ministry Recruitment for the UMC in the Philippines. A lot of young people commit to full-time ministry during the Christmas Institute. If you ask pastors and deaconesses, and even lay ministers in the UMC, a lot of them would point to the Christmas Institute as the event that finally got them to decide to take the plunge. C.I. is also a great venue to try different innovative ideas for youth ministry. As our youth leaders prepare for the Christmas Institute, they are able to put forth several great ideas that they will then test during the C.I. A lot of those ideas work. But some participants are also skeptical of “cool-sounding” parts of the program, but then turn out to be same old activities with new names. The program of CI is highly varied within the UMC in the Philippines. Different districts and annual conferences have different CI programs, although there are similarities such as Bible Study, Cabin devotions, Interest Groups, etc, the content will vary greatly. Although the National UMYFP prepares a centralized Bible Study material based on its biennial theme, a lot of districts and annual conferences prefer to do their own theme and program components. Perhaps, there needs to be a better way to analyze the needs of young people all over the Philippines, while providing for contextualization in the grassroots level. A lot of young people often complain of the lack of participation from pastors, deaconesses, and other lay leaders of the church in the activities within the Christmas Institute. But if we talk to these church workers, they would also complain that young people are not asking them for specific help in the programs. In some cases, they are simply expected to be present in the CI without being involved in the activities there. Tip for UMYF leaders: be clear for the kind of support to ask from church workers. Will they serve as Bible Study leaders, preachers, and facilitators? Perhaps, we can also ask them to watch over the delegates for a day or two, kind of like a “Workers-of-the-Day”. That way, they will have a more definite reason to stay. Tip for Church workers: Please be proactive in helping out our youth leaders. Sometimes, they are too busy with the preparation and handling of the CI that they may forget to ask specific support. Make sure to work WITH them and not FOR them, or IN BEHALF of them. District Youth Conference — not for everyone. CI is also a time for local church reports through the District Youth Conference. This is also the time when the next set of District UMYF leaders are elected. But, let’s face it. The DYC is not for everyone. A lot of young people just want the fun, fun, fun aspect of CI, and for them, the DYC is the MOST BORING part of the camp. It is definitely not for everyone. But I know for sure, that if handled well, the DYC is a great initiation to the decision-making and discussion process of the UMC from the local church, annual conference, and even to the Central Conference level. Perhaps, participants need to be segmented more effectively. For veteran CI participants, they seem to have the expectation that once they’ve attended twice or thrice, they “have seen everything that CI has to offer.” But not every CI participant is the same. There are newbies, very young teenagers who are still developing their identities, and who are in the first steps in their faith journey. But there are also older youth (High School graduates, College students, and young professionals), who feel that the CI is no longer relevant for them. Maybe we’ll need to come up with a better way to minister to different segments of youth who attend the CI. Or it might make sense to limit the attendance of CI to a certain segment of youth and then come up with a different kind of ministry for older youth. We need to be clear WHAT the C.I. is, what are its goals, and WHO we are targeting in this event. Adapt CI programs to current trends in youth culture. We also need to be aware of the trends in youth culture, including the different challenges that young people face. How can the church help them deal with the pressures of culture? How can we equip them to face the challenges in their lives–at school, in the community, in the church, and in their lives? CI should be integrated with the programs of the whole church. The CI does not exist as an independent event of the UMYFP, for best results, it should be tied with the programs of the local church, and it should be connected to the thrust of the whole church through the Board of Christian Education and Discipleship, and also of the Board of Church and Society for a more wholistic approach to youth development. For example, the CI should naturally catch the graduates of the UMC’s Children’s ministry. It should be connected to the Vacation Church School curriculum. At the same time, it should be connected to the discipleship strategy or model of the local church. The young people who commit to “Full Time ministry” during the CI should also be trained further, either through the Lay Speaking Training, or the School for Christian Youth Development. Some people may be allergic to the term “program”. They would rather have “Discipleship” or “relational ministries” but these only play into semantics and in my mind, they refer to the same thing and can lead to the overall result we aim for. This is a touchy issue for a lot of pastors, youth leaders, and local church council officers. For many church council leaders, since the church paid (partially or fully) the registration fee of the delegates, they expect the young people to be “Super Christians” when they return to their local churches. They can now become effective youth leaders, lead hundreds of people to Christ, participate in the choir, and do gazillion other “ministries” inside the local church. We have bad news for you. The Christmas Institute is not a magic pill. Neither is it a substitute for a strong youth ministry INSIDE the local church. The CI is a good jumpstart for a lot of young people. When they go to CI we ignite their faith and commitment. They will not easily forget the experience of worship and fellowship with fellow young people. But it is just that–a jump start. It is similar to striking a matchstick. But if the local church does not have a candle to support the fire of the matchstick, the fire will die! In the Manila Episcopal Area campus ministry consultation held on Dec 23 at Malolos, Bulacan, DS Francis Fajardo said that the fire struck during the CI has an expiry date. He jokingly said that the expiry date is February 12. After that, we will see the young people again during the -BER months when the CI season comes along again. If we want to harness the fire of faith that these young people catch during the CI, we need to have a strong discipleship strategy for them in the local church. After all these thoughts, perhaps, the National UMYFP, the Board of Christian Education and Discipleship, Young People’s Ministries, and other Church agencies could come together and look for ways to innovate on the Christmas Institute and find better ways to serve our young people as they seek to live out their faith and serve the Lord in their various capacities. 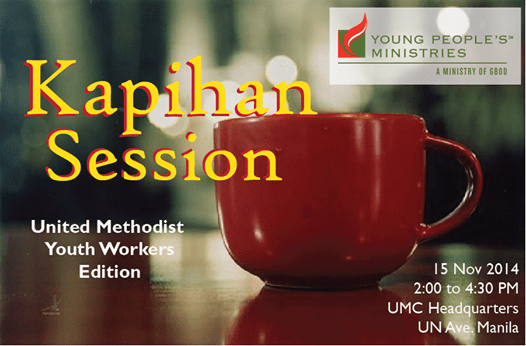 In fact, it might be a great idea to have a United Methodist Youth and Young Adult Missions Program in the Philippines so that those who want to serve the Lord, but are just not cut out for “Full Time” Pastor or Deaconess Ministry can still serve and use their energies, talents, and skills for the Lord.